Church Square, situated on the corner of Parliament and Spin Streets in the vibrant Cape Town CBD, offers a culinary hub for the people of the Mother City with copious coffee shops and an abundance of eateries offering epicurean delights. The fare from these establishments can also be enjoyed while watching the world go by in the serene cobbled Square itself – the heart around which the city was built. Famed for their bagels and brunches, this cosy restaurant offers ready-made bagels filled with home-blended shmears for those on the go, along with favourites like matzo ball soup, blintzes, and challah French toast. Kleinsky’s also has a leafy outdoor dining area where customers can catch their breath and tuck into Jewish cuisine worthy of a New York deli. 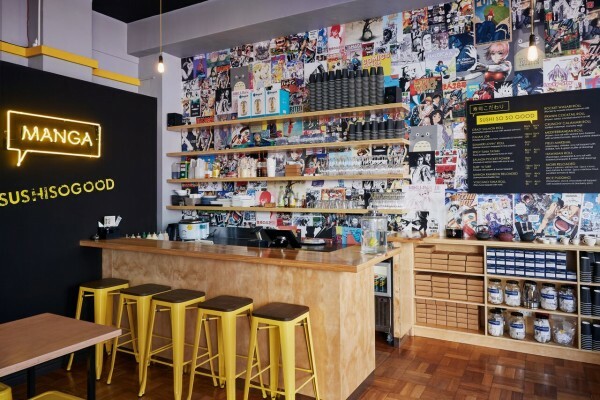 The Seattle Coffee Co has been serving South Africa with delicious espresso-based beverages, iced coffees, flavourful fruit freezes, hot chocolates, steamers and teas along with hand-made artisanal snacks since 1997. At the Church Square store, patrons can complement their coffees with a wide choice of cakes, cookies and cupcakes, as well as a selection of savoury treats such as bagels and sandwiches. 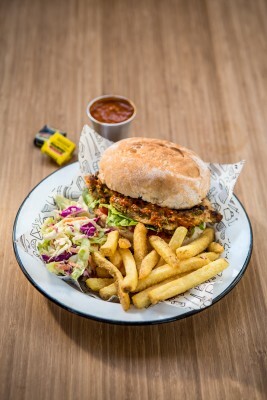 Featured on CNN as one of the world's best street foods, Afros started out in a shipping container on the Durban beachfront before bringing its fresh, affordable and simple fast food to Cape Town. The menu features only the best locally sourced ingredients that are free from colorants, preservatives, emulsifiers or additives. Expect an array of bacon-infused breakfasts (including the popular Regmaaker), salads as well as strips and tjips, burgers and wraps all served with tasty toppings. 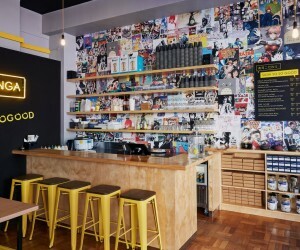 Having served folks in Cape Town’s inner city with wholesome fare for over 10 years, Bread Milk & Honey is a family-owned and run business with a vision of bringing joy and nourishment to each and every customer. With a wide selection of delicious and nutritious smoothies, tasty toasted sandwiches, lavish lunch buffets, coffees and delectable baked goodies, there is something for everyone to enjoy (and at a reasonable price too). Manga is a fun and fresh Asian eatery featuring popular Asian dishes with an unexpected twist. The Church Square menu features an assortment of classic sushi, poke bowls and salads packed with Asian flavours along with an eclectic sushi selection - think sushi rice infused with prawn and topped with bacon or a prawn and avo roll with seared tuna crowned with sundried tomato, feta and dressing. For over 300 years Victoire Bakeries has been treating Parisians to traditional French pastries and is now doing so in Cape Town too. 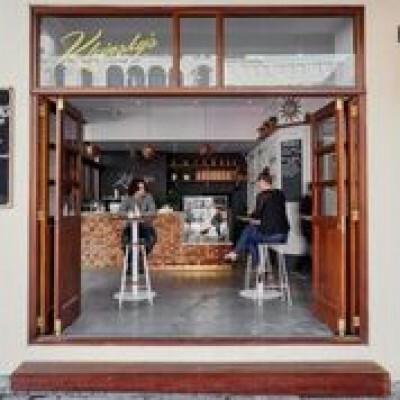 Situated within Speakers’ Corner - one of the city’s oldest buildings and Cape Town’s new creative hotspot – patrons can expect freshly-baked croissants, baguettes, macrons, quiches, tartlets, mini pizzas, along with traditional French dishes all served within a French-style setting. Complementing Church Square’s culinary offering will be the much anticipated opening of a fine dining restaurant on the rooftop of Speakers’ Corner by one of the country’s finest chefs, whose award-winning cuisine will soon be enjoyed within a breath-taking venue, overlooking the Square with views of Lions Head. Also coming is a new bar on the fourth floor of Speakers’ Corner, with a huge roof terrace looking out over the city. The opening of these two venues will bring nightlife to Church Square, enabling the people of the Mother City to enjoy breakfast, lunch, coffee, drinks and dinner all in one convenient location - making Church Square a multifaceted food destination.